MOCAP Silicone Rubber Parallel Plugs are stocked in many sizes to fit your specific application. Silicone rubber product pull plugs are ideal for powder coating and E-coating operations because they resist high temperatures to 316°C (600°F). Also ideal for chrome plating. Reusable in many applications. 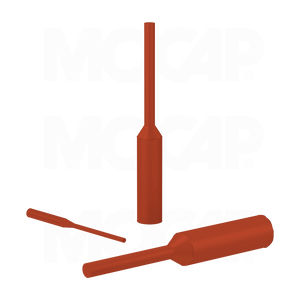 MOCAP's line of rubber products includes silicone and EPDM rubber plugs and caps stocked in many sizes for immediate shipment.